NB This page is not part of the official website of the Diocese of Sodor and Man. Chapels marked * are licensed for weddings. 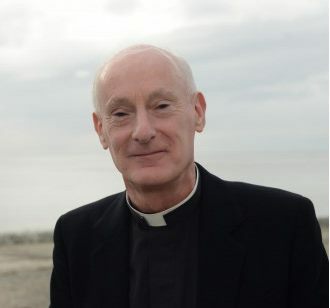 Note 1: The parish and benefice of Andreas, Ballaugh, Jurby and Sulby were created on 1st March 2012 by the Northern Pastoral Scheme 2011; they were renamed "the Northern Plain" by the Northern Pastoral (Amendment) (No.2) Scheme 2012. The patronage is exercisable by the Crown and the Bishop by turns (Crown 1st and 3rd, Bishop 2nd). The benefice of St Jude's Andreas ceased to exist on 6th March 2005 by virtue of the St Jude's Andreas Pastoral Scheme 2004. Note 2: The parish and benefice of Bride, Lezayre and North Ramsey were created on 1st March 2012 by the Northern Pastoral Scheme 2011. The patronage is exercisable by the Crown and the Bishop by turns (Crown 1st and 3rd, Bishop 2nd). The former parish church of Lezayre (Kirk Christ Lezayre) was closed for regular public worship on 1st November 2013 by the Lezayre Pastoral Scheme 2013. Note 3: The parish and benefice of the West Coast were created on 1st May 2012 by the Western Pastoral Scheme 2012. The patronage is exercisable by the Bishop and the Crown by turns (Bishop 1st and 3rd, Crown 2nd). Note 4: The parish and benefice of Arbory and Castletown, and the parish and benefice of Malew and Santan, were created on 1st February 2013 by the Southern Pastoral Scheme 2012. The patronage of Arbory and Castletown is exercisable by the Crown and the Bishop by turns (Crown 1st, Bishop 2nd); the patronage of Malew and Santan is exercisable by the Crown. Note 5: The parish of Lonan and Laxey, and the united benefice of Onchan, Lonan and Laxey, were created on 1st October 2012 by the Onchan, Lonan and Laxey Pastoral Scheme 2012, which established a team ministry for the united benefice. The patronage is exercisable by the Crown and Bishop by turns (Crown 1st and 3rd, Bishop 2nd). The parish church of All Saints, Lonan (Kirk Lonan) was closed for regular public worship on 1st August 2015 by the Lonan Pastoral Scheme 2015. Note 6: The parish and benefice of Marown, Foxdale and Baldwin were created on 1st October 2012 by the Marown, Foxdale and Baldwin Pastoral Scheme 2012. The patronage is exercisable by the Crown and the Bishop by turns (Crown 1st and 3rd, Bishop 2nd). Note 7: The parish and benefice of Maughold and South Ramsey were created on 1st October 2012 by the Maughold and South Ramsey Pastoral Scheme 2012. The patronage is exercisable by the Crown and the Bishop by turns (Crown 1st, Bishop 2nd). Note 8: The united benefice of All Saints and St Thomas was dissolved on 1st April 2008 by the Douglas (All Saints and St Thomas) Pastoral Scheme 2008. The parish and benefice of St George and All Saints were created on 1st January 2015 by the Douglas (St George and All Saints) Pastoral Scheme 2014. The parish church of All Saints is closed for regular public worship with effect from 1st May 2017 by the Douglas (All Saints' Church) Pastoral Scheme 2016.